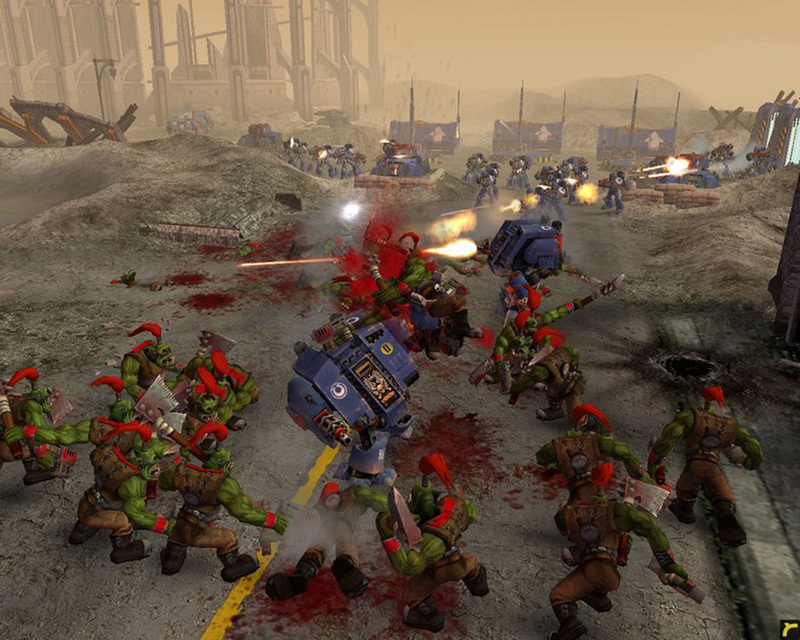 Warhammer 40,000: Dawn of War is a military science fiction real-time strategy video game developed by Relic Entertainment and based on Games Workshop’s popular tabletop wargame Warhammer 40,000. 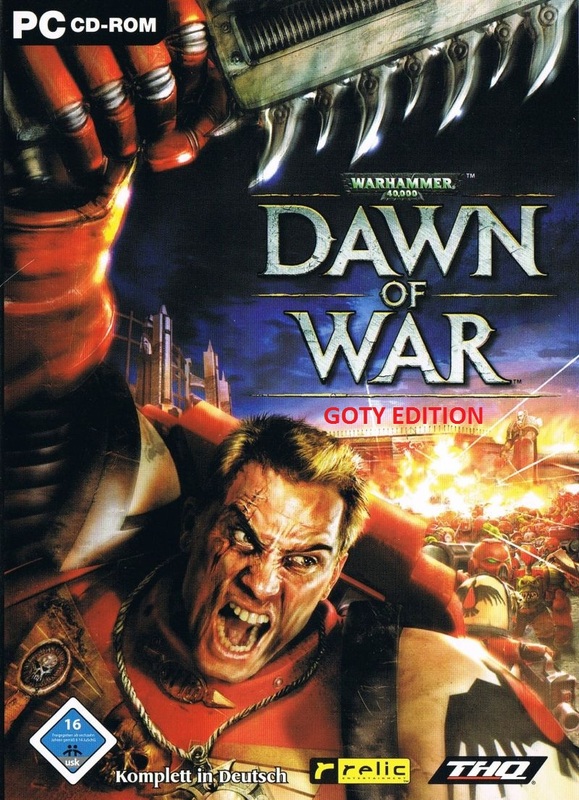 It was released for Microsoft Windows on 20 September 2004. 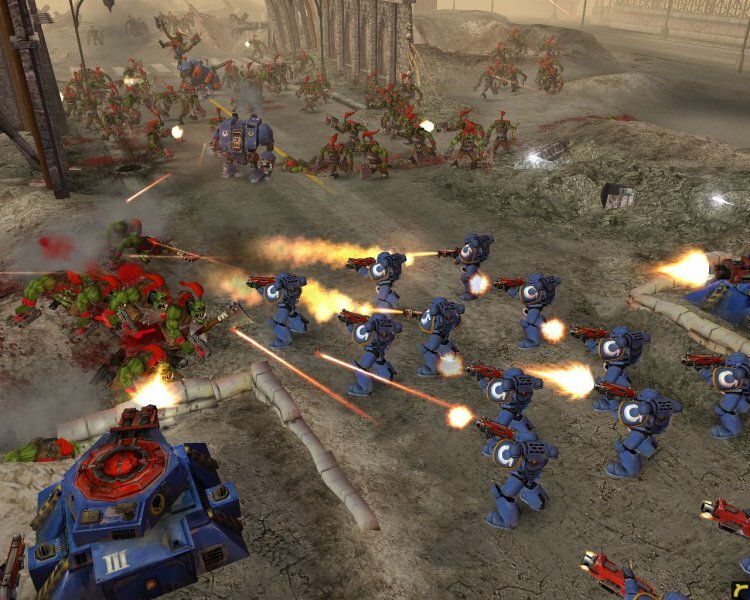 Master four unique races: Command your Space Marines, Orks, Chaos and Eldar in epic battles and master their distinct abilities, weapons, and tech trees to eradicate the enemy and rule the known universe. Unprecedented realism: Appropriately scaled terrain, vehicle physics and dynamic lightning contribute to a level of realism never before displayed in a real-time strategy game. 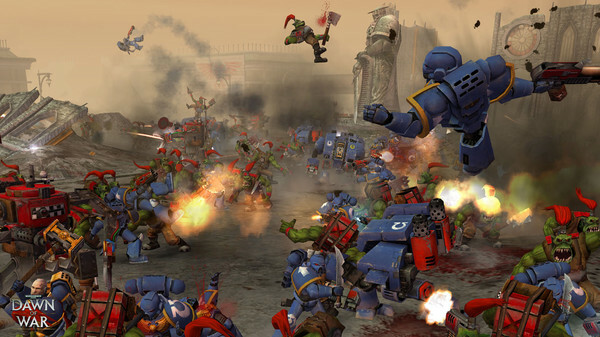 Visceral cinematic melee and ranged combat: Realistic unit animations immerse you in intense brutal combat . 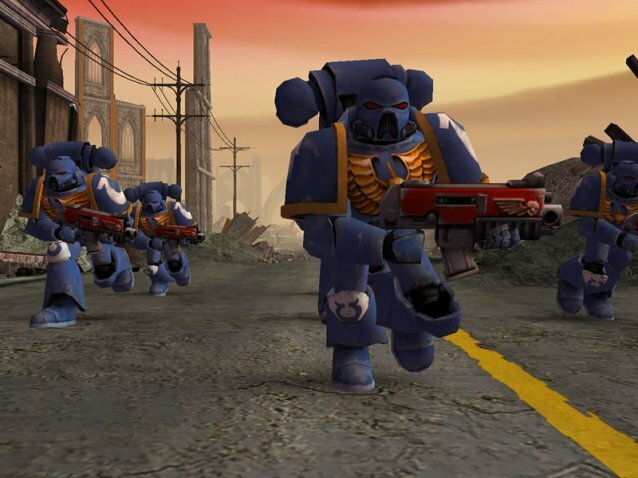 Pioneering tactical gameplay: Innovations such as cover, squad-based combat, and morale add new strategic depth to real-time warfare. 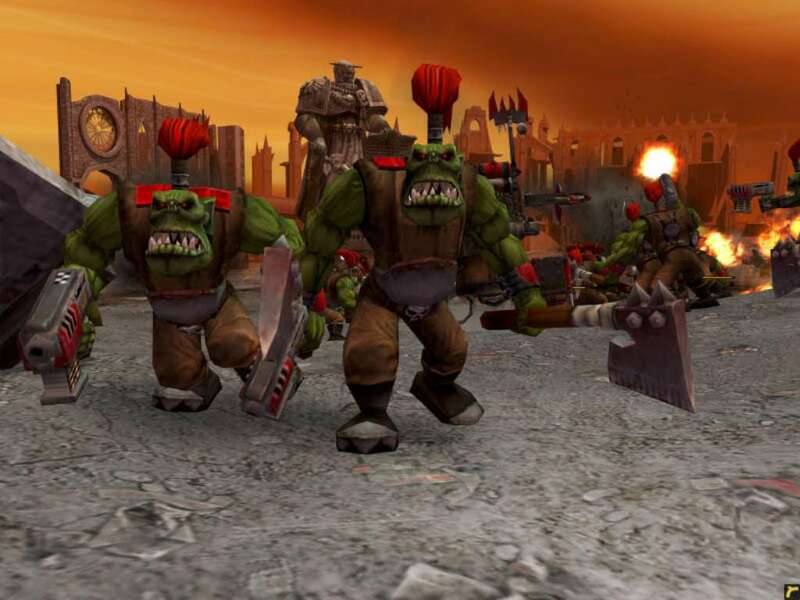 Dynamic multiplayer: Test your true combat abilities in two-to-eight player battles providing endless re-playability.